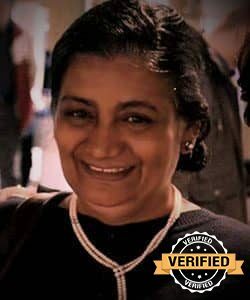 Mrs. Savita Bhandari embarked upon a journey as a lawyer since the year 1882 and began to conceive, manage, and decode exigent lawsuits. With complete know-how and dexterity, she focuses on Civil, Criminal, Writ, Family/Matrimonial, Corporate and Constitutional Laws. She has been an advisor to businesses and corporates transacting in India and broad. Mrs. Bhandari brings perfection to her lawsuits and conducts with utmost dedication. With a deep-rooted knowledge of the law, Mrs. Bhandari maintains a sensitive and humble approach towards law practice. As an effective orator, Mrs. Bhandari frames value-laden, pragmatic, rational, logical and prudent arguments in a constructive manner. A constant seeker as well as a caterer of knowledge, wisdom, and expertise – Mrs. Bhandari delivers as guest lecturer at various institutions and has been a mentor, teacher and a guide to many looming legal experts, and Judicial and Civil Services Aspirants. Abridging the vast gap of knowledge by mobilizing youth to initiate environmental protection, outreach and advocate projects which help communities come up with sustainable solutions through a bottoms-up approach. Mrs. Bhandari has co-founded the non-profit initiative – “People Canvas”. Mrs, Bhandari has actively been engaged in pro-bono litigation circling issues regarding women welfare, protection of rights of children, elderly and minorities. A champion at constitutional and writ litigation, Mrs. Bhandari actively criticizes inequality and oppression of any kind and has shown utmost solidarity towards principles of law, righteousness, and justice. Criminal, Matrimonial, Civil, Banking/ DRT Disputes, Constitutional, Service/ Employment, NRI Disputes.